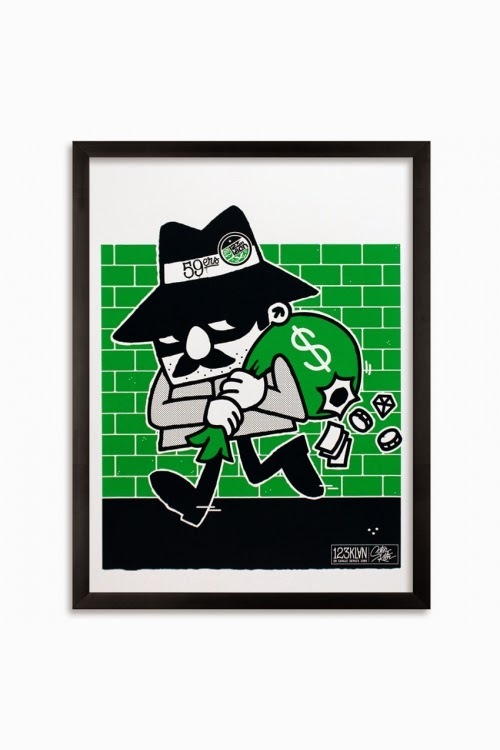 123KLAN Robber poster - BANDIT-1SM "Le Voleur"
This RUN comes signed and numbered. So I was at the Vinyl Thoughts show in Brooklyn, mingling and checking out all the cool artwork when someone from the gallery walked by me and placed a big red dot ("SOLD!") next to this piece: "The Bat Man and Robin" by One-Eyed Girl... a new name, to me at least. This was one of the pieces that all the attendees commented on (along with the cute little blue booby-toucher piece by IROC Toys). 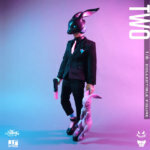 I think a few of us just nodded to each other- "yeah, of course this one just sold"- the overall aesthetic was just really well-conceived and the piece has so much character. I love those crinkled eyelids! And the paintwork is so delicate and intricate. Great stuff. A little while later I was back standing near this piece again when someone leaned over to take a close-up picture, so I asked him if he was the buyer. No, he said, he was here with the artist! And I turned around and there was One-Eyed Girl (aka Kasey)! Not often that I get to meet new toy artists. Anyway, Kasey is super nice and clearly very talented so I let her know I'd be interested in covering her pieces on this blog. Here's what Kasey has to say about "The Bat Man and Robin:"
The Bat Man and Robin are a 7" Trikky and a Micro Foomi. I had a lot of fun making these dudes and proud of the outcome so i hope you can share! So, here ya go: One-Eyed Girl. Look for more cool customs from her soon! I was very pleased to hear from the UK's Hugh Rose the other day- seems he's been busy learning how to prototype and cast his own figures! Hugh's custom pieces are always eye-popping and it's really cool to see him now working on his own designs. The figures above are 8" and 4" resin Walrus (Walruses? Walri? I'm gonna look that up). The smaller one (above) is called 'Scrimshaw' and is etched and ink-washed in the old-timey traditional whaler style. 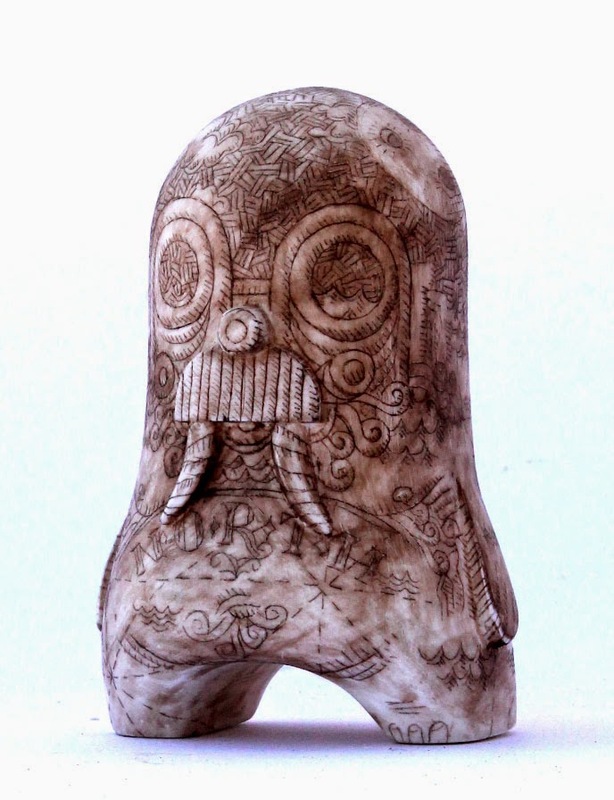 At top is the 8" Walrus figures with hand sculpted, unique faces and tusks. Below are Hugh's Wooden Monkeys which are 8" resin pieces, all uniquely painted. Introducing Canmans Vinyl Toys: Coming Soon to a Shop Near You! 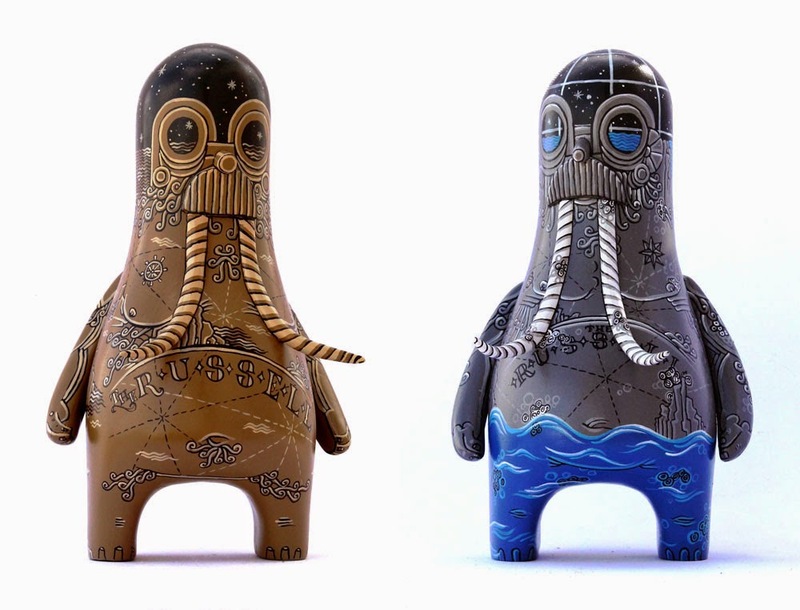 The Canmans are a series of vinyl figures focused on graffiti artists and the art of collecting spray paint cans. There are 2 editions of the Canmans, the Artist Editions and the Blank Editions. The Artist Editions are "Limited Edition" Canmans that have been designed by some of the world's most prolific graffiti artists. 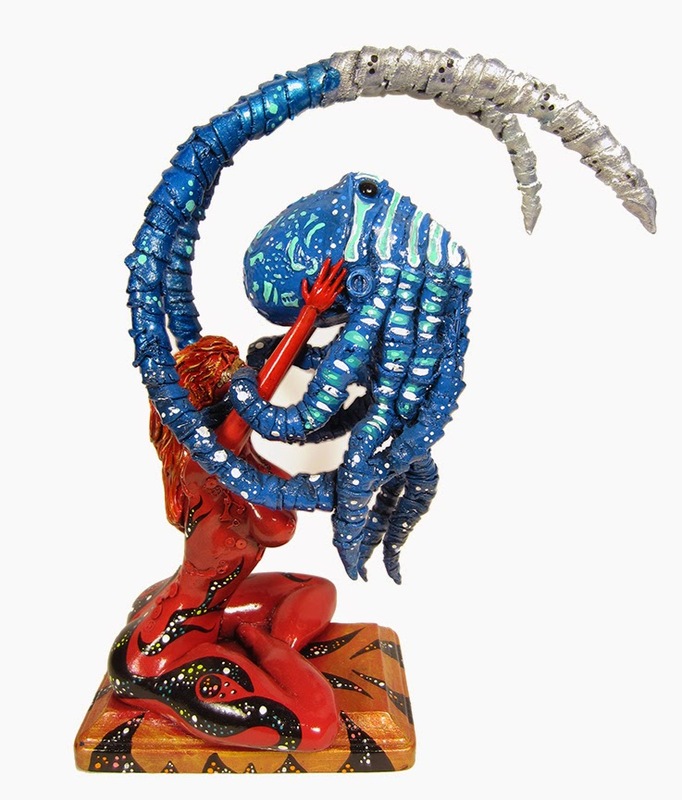 Each artist creates the artwork and design for their exclusive Canman figures. The Blank Edition is a Canman that comes with no artwork. It's a blank canvas, ready for you to do it yourself. 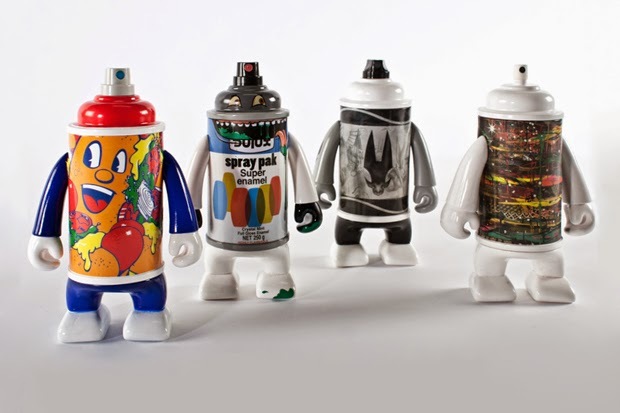 The Canman figures have a removable lid for storing spray paint tips and other items discreetly. Each Canman includes a "real" spray paint tip that may be interchanged with other types of spray tips! The Canmans were originally conceived by Tyke (Witnes) of AWR and Toynami (www.toynami.com). Series 1 includes Pose, Dabs Myla, Craola & Revok. Series 2 includes Ewok, Rime, Tyke & Persue. Check out www.canmans.com for more info. 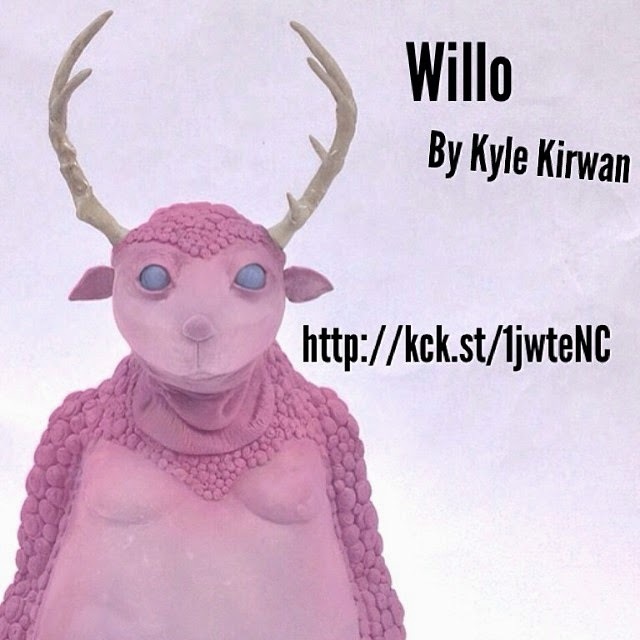 Click here to back Kyle Kirwan's awesome Willo figure on Kickstarter! 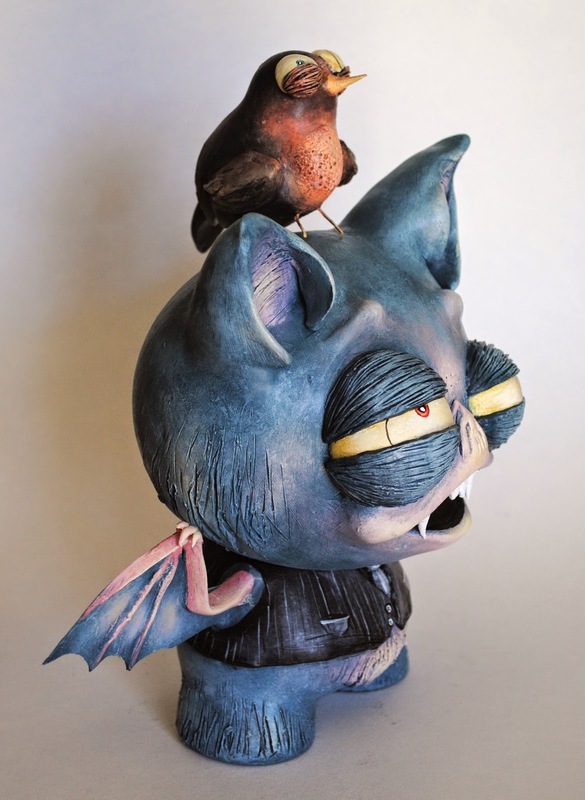 Kyle is a local artist (Brooklyn) who was one of the first artists we hosted in our Super Series Sundays releases- his Mudcat figure sold out! Now he has another resin design in the works: Willo. This pink exclusive color is available only by backing the Kickstarter. I backed it. This contest ends Friday! 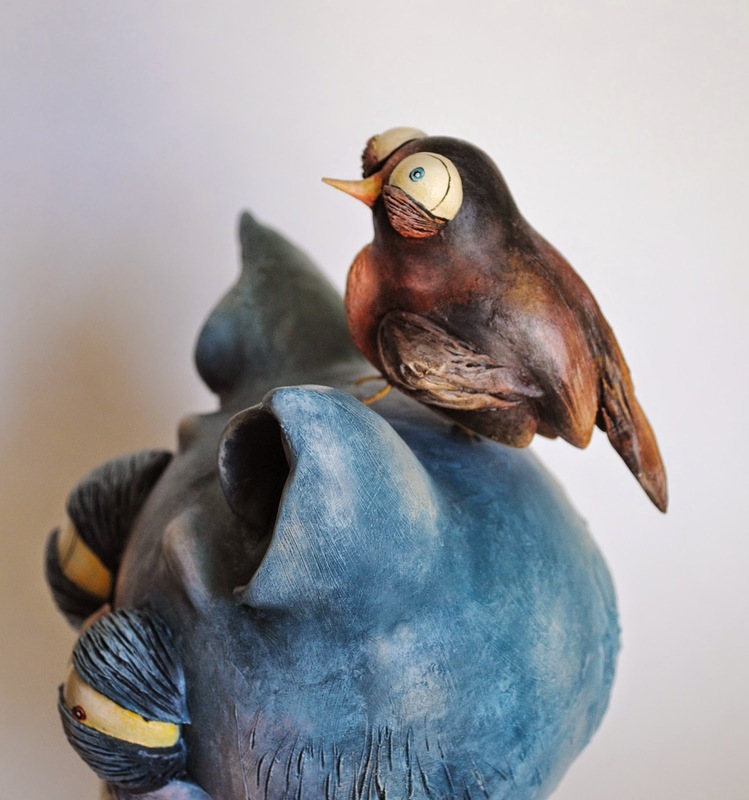 Only 4 more days to enter to win the amazing piece of art pictured above, and it's REALLY EASY! Click the link below. It'll take you about 1 minute.